At Armstrong House we are justifiably proud of the standards we operate to, including the Abbeyfield Society’s “Core Standards”. However, it is the words of our residents and their families which give us the greatest satisfaction. Living in Armstrong House is total heaven. As soon as we walked into Armstrong House. We liked the atmosphere; it was welcoming, warm and homely. Dad has always appreciated good food; he is particularly fond of puddings. He frequently says how good the food is … the range and the quality. It is good to know that Dad is being looked after like that. All the food in Armstrong House is home cooked from locally sourced ingredients. 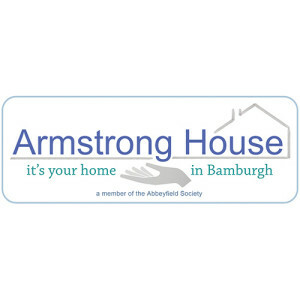 Armstrong House enabled Mum to spend her last few days surrounded by her friends and family in her own home. All her care needs were provided for allowing us to spend quality time with her. I cannot thank the staff enough. Visiting my great friend in Armstrong House has always been a pleasure. We are able to enjoy coffee and lunch together in the dining room where another place at the table is never a problem. It’s so convenient not having to go out and disturb my friend’s daily routine. Any discussions we have will be totally confidential and we will be able to provide greater detail about the services we offer and the standards we work to. We hope that you've found our website helpful. If you are interested in finding out more about how we could help you or one of your family or friends please get in touch ... just go to the Contact us page.